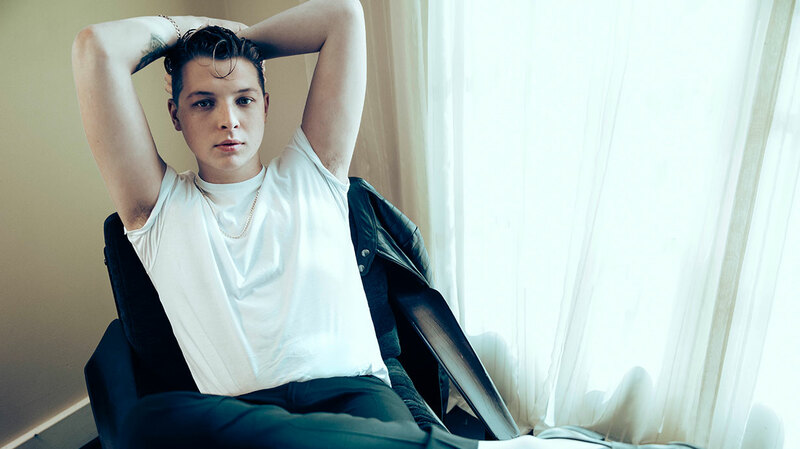 Fresh from shows with Taylor Swift and Calvin Harris, and his starring role at BBC Radio 1’s Ibiza Prom, John Newman is set to unveil the second studio album he recorded in LA with Michael Jackson’s musicians. Here, the Settle-born soul singer tells the story behind Revolve, and explains why he’s determined to stay true to his working class roots. How’s summer been for you, John? You did play live during the summer, though, including with Taylor Swift and Ellie Goulding at British Summer Time in Hyde Park, right? Yeah, we did bits. It’s about keeping my presence there as well; you’ve kind-of got to refresh people’s memories, remind people. The Taylor Swift gig was an important one, and the Calvin [Harris] gig and the festivals that I did in Europe were very important. How was the Taylor Swift gig? You didn’t take part in the ‘Style’ catwalk section did you? No, no, I didn’t. I’m probably not famous enough… (Laughs) I had to fly out that night, as well. But yeah, I really enjoyed it, really enjoyed it. It was a different gig for me, because I’m used to mental, sweaty festival crowds. This was a daytime gig and it was quite pop, but it was incredible to cross over into that world. And they were two incredible artists to share a stage with. It was mind-blowing that I was even given that opportunity. We saw you play BBC Radio 1’s Ibiza Prom at the Royal Albert Hall too, and it looked fantastic. It was incredible. I’ve never played that venue before and I’ve always, always wanted to, from watching so many live performances there. I mean, ‘Adele Live At The Royal Albert Hall’ was one of the pulled-out DVDs in my collection. And I grew up as a DJ – listening to Judge Jools, Pete Tong and Annie Mac – so to be there with Pete Tong, celebrating Ibiza and playing with an orchestra… It was such a special, special night. I’ll never forget that, and I don’t think my mother will either. Let’s talk about your new album. Can you tell us more about the concept behind Revolve? So it started with this (picks up album): the logo, basically. I was side-stage at V Festival with Ed Sheeran, stood watching Rudimental, and I said, “I can see your album right over the other side of the festival.” And he was like, “It’s about the colour and the simplicity.” So I started looking at circles, to create something that you could notice straight away. And as I started looking at the idea of the circle, I began thinking about the cycles of music and life and fashion and relationships; the way that everything is cycling constantly. And I could relate because my everyday life used to be on a constant cycle, and it could have been for many more years if I didn’t break that cycle for one minute to apply to go to music college. The title track is built around a monologue, performed by Idris Elba. It sounds like it’s taken from a movie. Yeah, that’s what I wanted. I was inspired by that Charlie Chaplin piece that’s in ‘Iron Sky’ by Paolo Nutini. Me and my friend Tom wrote the words for that, but originally we were going to get a scriptwriter in LA [to write it] because we wanted this grand, captivating speech that you could put some visuals to, and it could become an amazing advert for the album, explaining the concept. Because he’s a very humble, very successful and very, very talented person that is a pleasure to work with. He did a very good job. We actually wanted to do it again, but a bit more relaxed, a bit closer, and it was too late. I still think it’s well executed, though. Can you talk us about the creative process for Revolve, please? You write constantly, right? I don’t write dead material though, I throw it away. If I’m in a studio, and the hooks I’m coming up with are alright but not great, I’ll just get rid of them there and then. Songwriters get p*ssed off with me because I’ll sit there at the piano for hours until I find this hook. But then when I finally get it, the whole song will just come together in my head and then I’ll go mental for two days, writing and producing the whole lot. That way you get the excitement of a demo in your productions, because you’re producing on demo day, almost. Was there anything about the process that you approached differently to that of your debut? Yeah, I went back and listened to my first album and went, “What worked here, what didn’t work here? How will I be doing this differently, for natural reasons rather than for forced reasons?” One thing I noticed was that I needed to cut the sh*t and stop trying to be different, in terms of doing weird things to create sounds. In terms of the bottom end, I needed tighter drums and better bass. And I wanted to hear a bit more pop in there, tighter grooves and more punch. I was interested in disco and funk, and that was inspired by the musicians I was working with. I was working with Michael Jackson’s musicians and Greg Kurstin – one of the producers and songwriters – comes from an area of jazz and funk. How did you come to work with Jerry Hey and Michael Jackson’s musicians? Was it a case of just picking from your wish list? In the least egotistical way possible, it was a wanted list, yeah. But I really didn’t think I’d get them. Pardon my French, but it was f***ing mind-blowing getting those people and it was an incredible, incredible experience working with Michael Jackson’s guitarist and brass players, in West Lake Studios on Santa Monica Boulevard in Los Angeles. I was there for eight months working on it, because I wanted to get the best out of the musicians and the studios there. 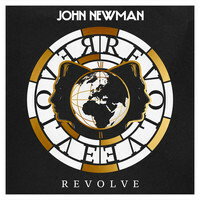 When do the songs on Revolve date back from? Did you write any of it while touring Tribute? Yeah, and I did bits that have gone on to do other things for other artists: Jessie J took one of them and a band called The Cab. But I’m already writing again. I’m looking to write with other songwriters and I’ve got songs I’m sending out, and loads of sessions booked in for other artists. I’m working on a side project for myself too, which is just a band to go and play some gigs with, so I can play a bit of guitar and go a bit mental. And I’m writing with Calvin [Harris] again too. There’s loads of stuff in the pipeline. Er, yeah. (Laughs) I just enjoy the rewards you get back from making music, seeing how it travels around the world. There’s nothing more satisfying than my mum being able to turn on the radio and hear something I’ve made. You’ve also written a book as a companion piece to the album. What was the rationale behind that? It’s not that I want to write a memoir and inspire kids, it’s just think it’s a brilliant opportunity for three reasons. One of them being that, when I’m attempting to look cool in glossy videos in Los Angeles locations, I really wouldn’t want to come across as a k**bhead that people couldn’t relate. I’m still that person that’s from the working class of England, and who grew up on the dole, after living in a council house. Whatever I do, it’s a gimmick. Secondly, it’s a perfect opportunity to appreciate the people that spend 15 hours a day in a music studio and don’t get the fame. When I go to a studio, I’ll go in at 11am, and if I get my way I’d work through to 2 or 3am, and do that every day, for a week at a time. That’s all well and good me wanting to do that because I’m the person that’s going to get to tour that around the world and see my name on my record, but them guys are just getting paid to do that, you know? So it’s a good way for people to appreciate the other people behind music. So what can audiences expect from your forthcoming shows? I never really know what to say, because I don’t want it to sound like a sales pitch. The amazing thing about the live shows is that it’s like Northern Soul or raves in the 90s up north: everybody’s there for one reason. And it doesn’t matter what you’re wearing, or anything like that. I won’t have anyone being judged at my shows because I want it to be a gathering of people that don’t give a sh*t about what’s on the outside world and can just enjoy that moment. And at nearly every gig I get groups of people shouting, “Yorkshire!” and I love that. I f***king love that, so much. I can’t wait to be doing that again.